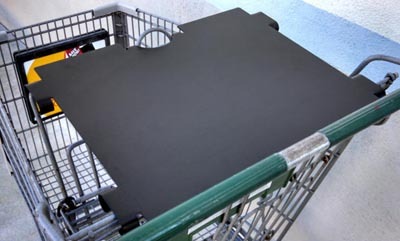 Compucart shopping cart trays / tables made in the U.S.A. Order online! 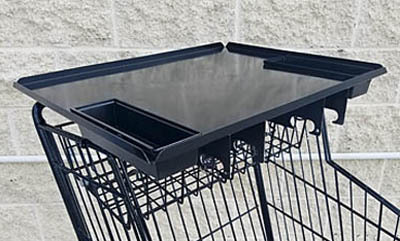 Compucart Trays attach to grocery carts or any kind of shopping cart that has a child seat. They can be used with tablets, iPad Minis, iPads, laptops, coupon binders or portfolio bags, and make the perfect work station for scan coordinators and merchandisers. We have recently introduced our durable, lightweight Aluminum Scan Coordinator Tray which includes 2 compartments. 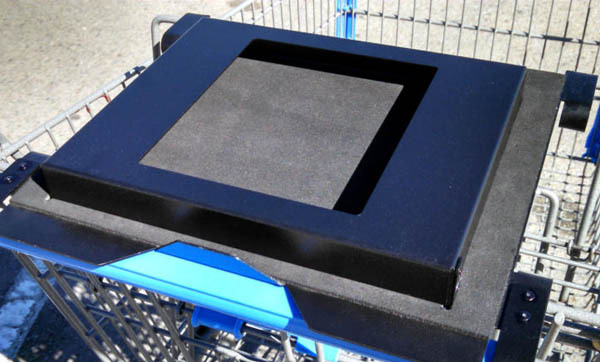 Compucart's Theft Deterrent Tray is available for tablets, iPads, 7" tablets or mini iPads. Provides a secure, sturdy work station. 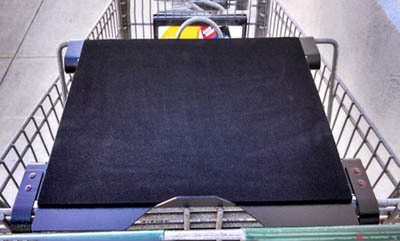 Laptop and iPad trays help eliminate fumbling. 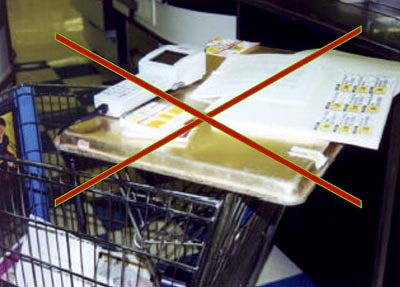 Economically priced organizing table works great for coupon binders. Designed to fit majority of shopping carts. Lightweight, non-collapsible and easily portable. Laptop and Theft deterrent trays come equipped with anti-static material which provides protection from static electricity. 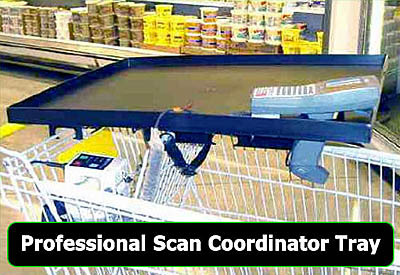 The Scan Coordinator Tray is made with anti-static plastic. 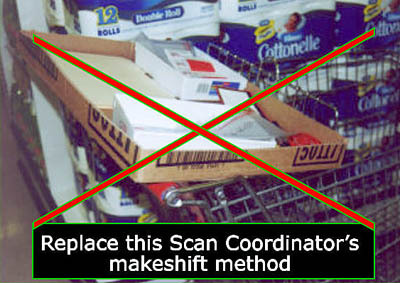 Saves time by eliminating the struggle that a person encounters attempting to fit a Scanner, Laptop, iPad, portfolio bag, coupon binder, clipboard, etc. on top of a shopping cart. 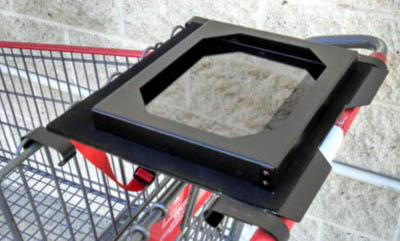 iPad locking tray works as a deterrent for theft. Compucart has been in business since 1995. 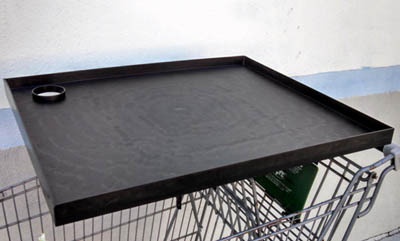 All of our Compucart trays are 100% made in America with premium quality American products. Compucart is a woman owned business.